As part of their safety roadmap, Ducati have updated the Multistrada 950 with a handful of new safety aids, as well as some styling updates and a fancy new S version. The biggest change for the 950 is that it now comes with a 6-axis Bosch IMU, which brings with it Cornering ABS and Vehicle Hold Control (for easier hill starts) and self-cancelling indicators. The 937cc Testastretta is mostly unchanged, sticking at 111bhp but it now comes with a self-servo hydraulic slipper clutch, lightening the lever action. 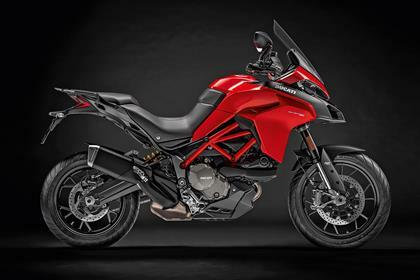 The styling has had a small update too, to include the ‘wings’ from the bigger Ducati Multistrada 1260, while both the swingarm and wheels have been lightened for a spritelier ride. There’s also the option of an S model for the first time too. 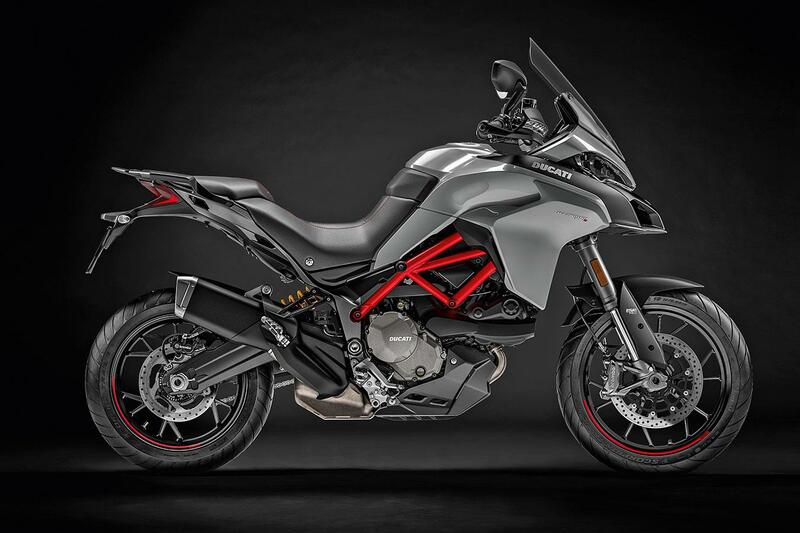 Stumping up the extra £1600 primarily nets you electronic suspension in the form of Ducati’s Skyhook but the S also comes with a bi-directional quickshifter, cornering lights, full LED headlight, 5” full-colour TFT dash, cruise control and backlight switchgear. Both bikes pair with Ducati’s Bluetooth multimedia system but the dash in the S model gives you full, hands-free control. No surprise but with the S model the base is just the beginning, with optional packs including Touring, Sport, Urban and Enduro. No owners have yet reviewed the DUCATI MULTISTRADA 950 (2019-on). MCN Fleet: How versatile is Ducati's Multistrada 950?